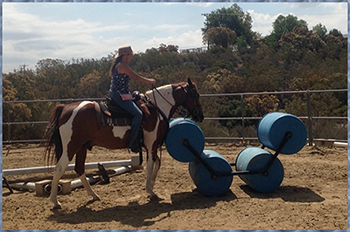 Here at AA Ranch, we provide a well-balanced training schedule for each horse. 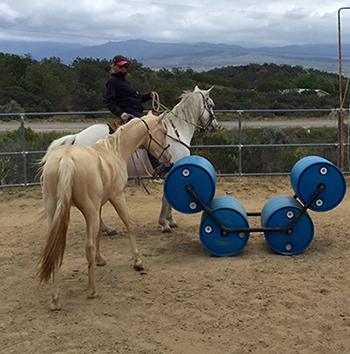 Each horse is evaluated for it's strengths and weaknesses so we can develop a well rounded horse. A horse that will go down the trail with confidence, navigate an obstacle course with grace and ease, camp over night or compete at the next show or event with success and enjoyment. 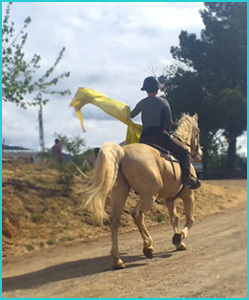 Given that we specialize in gaited horses, much of the training is not only in developing a confident work ethic, but is also directed on developing each horse's gaiting abilities unique to the individual. 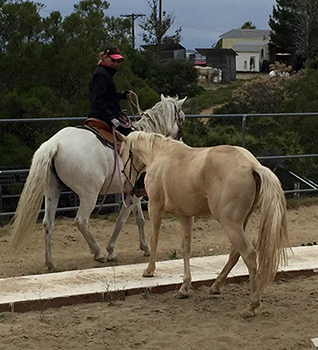 We work on bringing the best out of each horse while developing their strength as well as working carefully on their individual weaknesses. Drill team, work in progress!!! Training with a happy pooch in the mud & water. Copyright© 2010 - 2019 AA Ranch, Anza, California 92539. All rights reserved.